The Orleans Gunmetal and Aluminum Double-Blade cigar cutter is a lightweight and durable guillotine cutter that executes a clean cut on your favorite stogies, everytime. Cuts up to a 56 ring gauge. Great cutter for the money. Works great. Smooth cleans cuts. 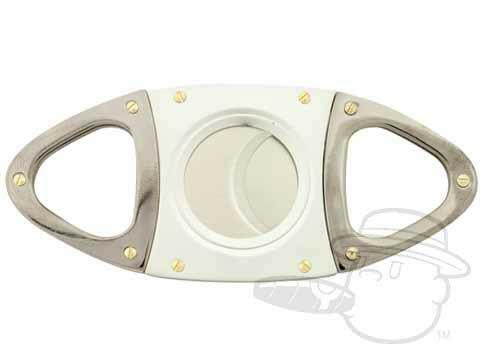 Orleans Gunmetal & Aluminum Cigar Cutter is rated 4.9 out of 5 based on 3 customer ratings.